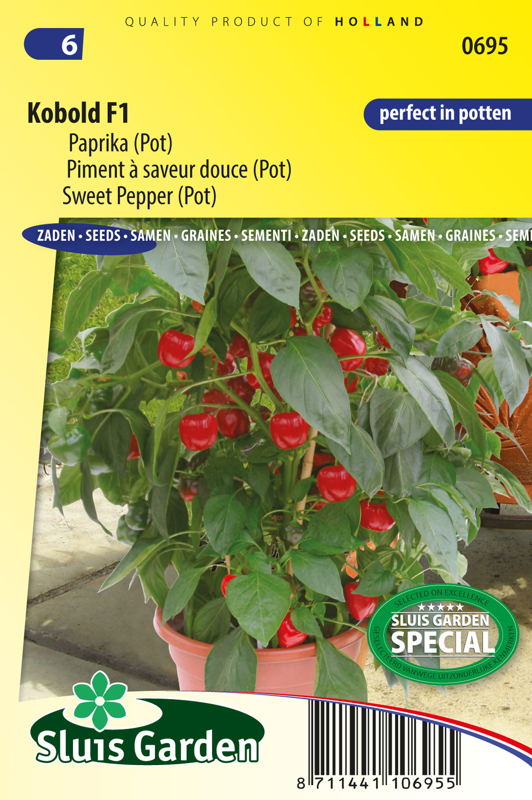 Attractively compact pot sweet pepper. 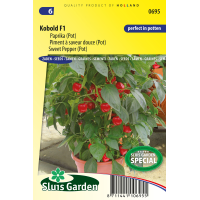 Ideal for cultivating in a sunny spot out of the wind on a balcony or small garden. Strong growth and good branching. An excellent taste: wonderfully sweet and aromatic! Fruit weight approx. 50 – 70 gram. Height of the plant approx. 40 cm. The red fruits are clearly sweeter in taste and contain a great deal of vitamins B and C and various minerals. Sow in a greenhouse in a seedbed or directly in 10 cm pots. After emergence prick out and later transplant to an unheated greenhouse or outside to a warm, sheltered spot.